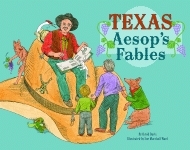 This popular history carefully distinguishes known facts from legend while profiling some of the worst outlaws and shootists that Texas produced. Covering the period between the Civil War and the Great Depression, the authors include authentic facts, carefully sifted from myth and legend. 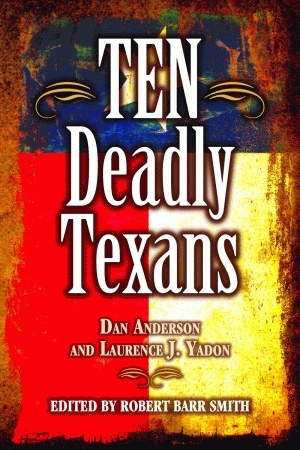 Written in the nonacademic, breezy style also found in the coauthors’ two previous books, Ten Deadly Texans focuses on little-known robberies, chases, and gunfights of legendary figures such as John Wesley Hardin, “Wild Bill” Longley, and Clyde Barrow, who once escaped from a Texas robbery on a mule. Obscure yet significant Texas outlaws are also included. One such character is Cullen Montgomery Baker, the subject of Louis L’Amour’s 1959 story The First Fast Draw. Baker described himself in a letter to an enemy as “mad as hell till death” and usually acted that way until his father-in-law drugged and killed him. Particularly noteworthy is “The Deep, Dark Woods,” the story of a 1934 revenge murder along the Texas-Louisiana border probably perpetrated by Clyde Barrow and the Barrow gang, yet officially unsolved to this day. The authors examine this killing through the long-overlooked eyewitness account of a Houston crime reporter who acted on an anonymous April Fools’ Day tip and found the body of Barrow gang enemy Wade Hampton McNabb. Dan Anderson is a former newspaper journalist and photographer for Pryor, Oklahoma’s, Daily Times. His main emphasis in reporting was on crime, cops, and court cases. Anderson has been honored with awards from both the Oklahoma Press Association and Associated Press Oklahoma for his writing and photography. Laurence Yadon is an attorney, mediator and arbitrator. He teaches mediation at Tulsa Community College. He gives presentations on various legal subjects, Oklahoma history, and crime history. A lifelong student of American history, Yadon has a special interest in the Southwest. Anderson and Yadon are also the authors of 100 Oklahoma Outlaws, Gangsters, and Lawmen: 1839-1939 and 200 Texas Outlaws and Lawmen: 1835-1935. Click here for Chapter 1. Click here for the Front Matter. Click here for the Index.